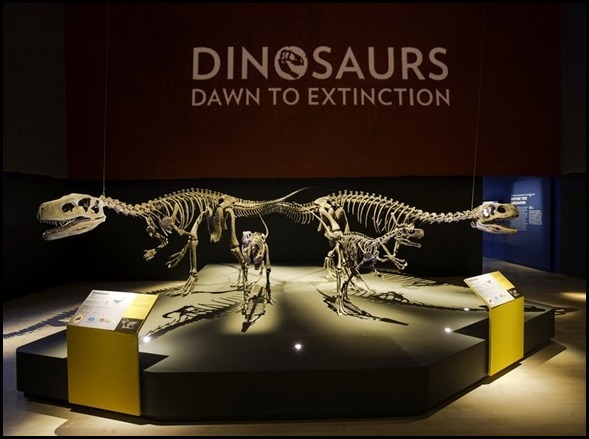 The partner and I were invited to visit the latest exhibit at Marina Bay Sands’ ArtScience Museum – Dinosaurs, Dawn to Extinction. The partner has been fascinated with Dinosaurs since he was a kid and given the chance would have enjoyed spending all day wondering around. Occupying over 3,700 square meters of floor space, the exhibition will feature more than 400 fossils and models, as well as over 50 original artworks. This first-of-its-kind exhibition combines four exhibitions from the renowned American Museum of Natural History, San Juan National Science Museum, SCI! Expo at Monash University and artist Peter Trusler. “Dinosaurs: Dawn to Extinction” will take visitors on a journey from the Precambrian, Triassic, Jurassic and Cretaceous time periods. 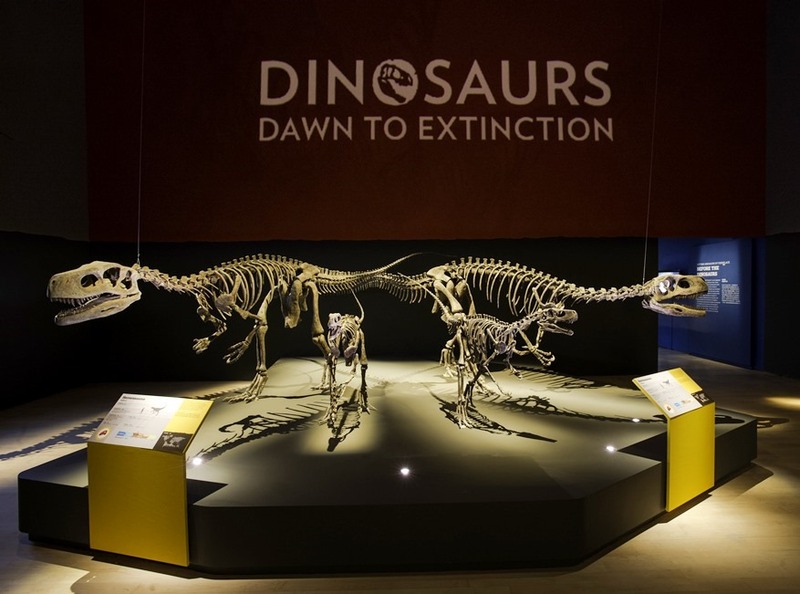 The highly interactive exhibition will also feature some of the oldest dinosaurs fossils ever discovered on the planet and many little-known species, some never before seen by the public. While Dinosaurs are the main attraction there is a lot more to this exhibition than just some old bones and big teeth; although there are plenty of these to be found. Instead the Curators have strived to explain the rise of many types of animals and mass extinctions that have occurred in Earth’s history and how these have shaped the evolution of Dinosaurs and ancient reptiles through to mammals and birds. 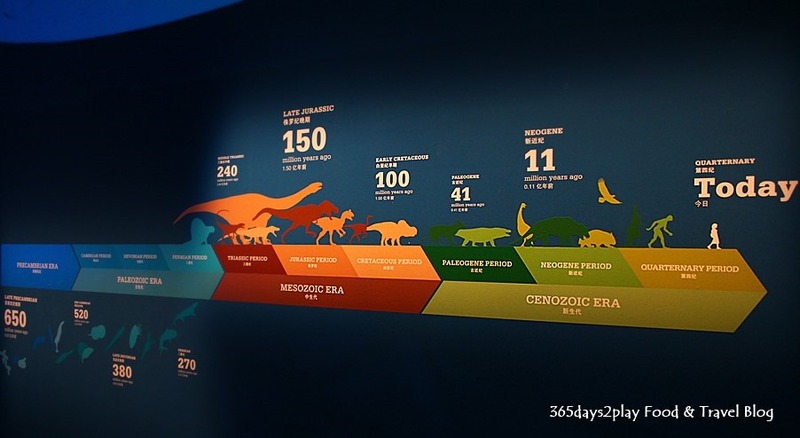 You get see how changing continents and weather patterns lead to huge changes in evolution. To me this adds a great deal more to the Dino story than just displaying life size skeletons and telling us that these creatures were very big. For those with children there are plenty of additional activities to keep them occupied but are also educational. Another interesting add on to the exhibition is the free App for iPhone and android phones called Dawn2extinction. This app provides additional information about the exhibition and Dinosaurs but it is also interactive. Throughout the display there are strategically located icons that you scan with your phone and unlock new features including a T-Rex game! The app is free but just like the Dinos it is BIG! About 150mb so you may want to download it at home before venturing into the Museum. Although I hated studying History in school, I am thankful that I still retain my fascination with antiquity and how people of the yesteryears lived. There is no doubt that a visit to a museum would be one of the highlights in any overseas trip that I make. I’m sure a lot of people share the same interest with me, especially when it comes to Egyptian history. Mummies, pyramids, Pharoahs, these are words that the average person would definitely recognise. For me, I have a particular soft spot for Egyptian history simply because more than 10 years ago, the Egyptian exhibition at the then Asian Civilizations Museum (Armenian Street) was where my thirst for such knowledge first sprung forth. It was all thanks to the most interesting and animated docent we had for the tour through the exhibits. 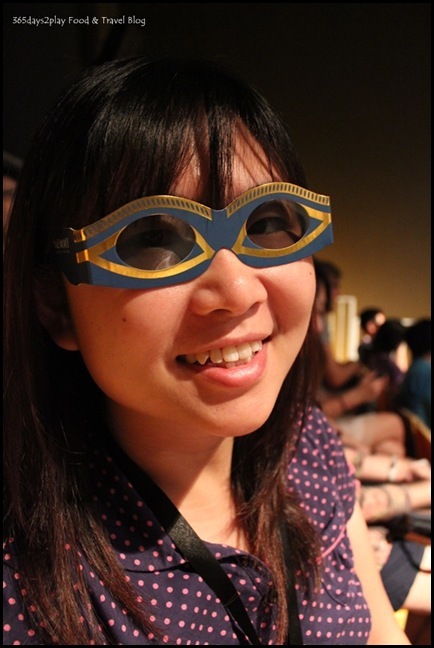 I subsequently did a volunteer stint at the museum as well! The Mummies are back again, this time at the ArtScience Museum at Marina Bay Sands. Mummy : Secrets of the Tomb is an exhibition pairing mummies and artifacts culled from the extensive and famed Egyptian collection of the British Museum. The centrepiece is Nesperennub, a temple priest who lived 3000 years ago and died at the age of 40. 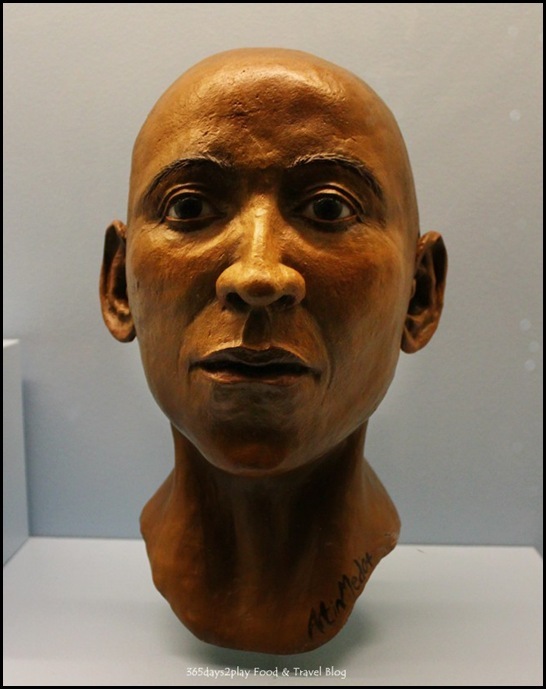 You will be able to see a cast of his head to see how he looked like those 3000 years ago! The most amazing part of it all is that the Nesperennub remains in his original cartonnage coffin that has never been opened! The groundbreaking 3D film captures the “virtual unwrapping” of Nesperennub and I can tell you that it is an incredible film (and not some crap thing they throw in just to charge you a more expensive ticket). I didn’t want to scare you with all the pictures of coffins and corpses so here’s a picture of me instead . Don’t you like my Egyptian looking 3D glasses? This the digital reconstruction of how Nesperennub would have looked like when he was alive. With the most advanced and cutting-edge scanning technology used in modern medicine, it is now possible to “unwrap” an Egyptian mummy without actually disturbing the delicate mummy wrappings or destroying delicate historical data. My first impression of Nesperennub is that he has an “ancient times” look. But after looking at this picture a couple of times now, I am starting to think that his face would not really stand out in a multi-cultural place such as Singapore. Is it just me or do you often have the same thought when you are looking at pictures/portraits of people who lived hundreds of years ago and you feel like no modern person would look like that? You may have heard of Herman Miller, and you may also have heard about the $1000 Herman Miller chairs. 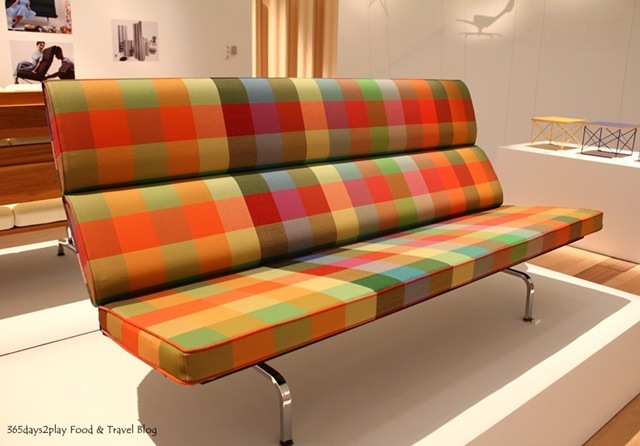 But have you heard of Charles and Ray Eames? 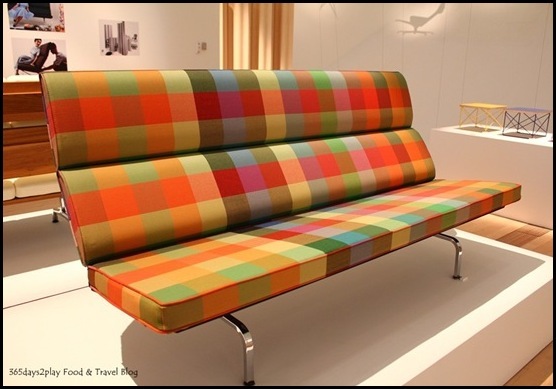 Charles and Ray Eames were the designers behind many of the furniture you see at furniture company Herman Miller. 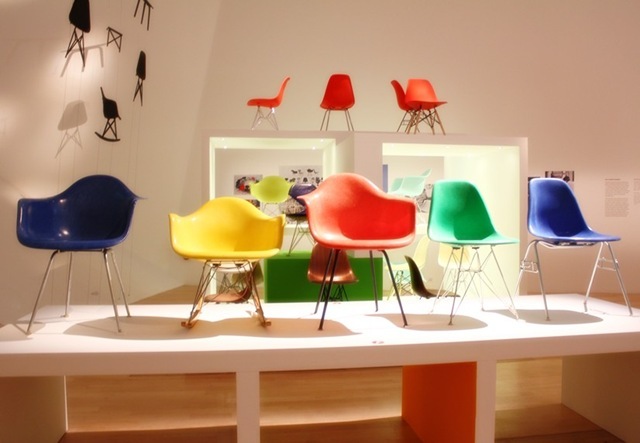 Making its Singapore debut at ArtScience Museum, Essential Eames : A Herman Miller Exhibition captures the spirit and philosophy behind the most famous couple in design, ie Charles and Ray Eames. They are the ones credited with changing the way the 20th Century sat down. 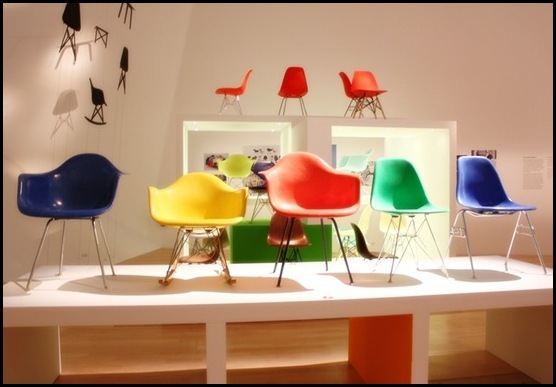 If you love furniture and you love design, you should check out Essential Eames, as it features over 100 pieces of furniture, some of which are rare and never before seen works from the Eames family collection as well as the Herman Miller archives. I won’t say too much here, I’ll leave you to enjoy the pictures and of course you have to go to the exhibition that’s going on now at the ArtScience Museum at Marina Bay Sands. No photography allowed by the way. Great news for fans of Andy Warhol who have yet to view the exhibition at the ArtScience Museum, the 15 Minutes Eternal Exhibition is being extended to 21 October 2012! Even better, the ArtScience Museum is dishing out FREE TICKETS for the Andy Warhol exhibition, and there are 2 ways to get your hands on the tickets. ArtScience Museum will be bringing lookalikes of Andy Warhol, along with his celebrity muse, Marilyn Monroe, to the streets of Singapore. From now to 20 August, the two icons will be wandering the vicinity of ArtScience Museum and Orchard Road. Visitors who spot these two roaming artists on their rounds can take photos of either model, and bring the snapshots to at any Marina Bay Sands box office to redeem their complimentary pass to Andy Warhol: 15 Minutes Eternal Exhibition. From now to 26 August, guests to The Shoppes at Marina Bay Sands can also snap a photo of yourselves at one of the two Andy Warhol: 15 Minutes Eternal booths located within the shopping mall to redeem a complimentary pass to the exhibition. All you need to show at the ticket counter is either physical copies of the photographs or digital images stored on your phones. A little background about the Andy Warhol Exhibition and PICTURES! I had the opportunity to tour the Andy Warhol Exhibition thanks to Marina Bay Sands’s invitation. To be frank, I knew nuts about Andy Warhol, save for the fact that he created some art piece using Campbell Soup cans and that he was the guy who came up with the quote that everyone would be world famous for 15 minutes. Touring the exhibition was interesting for me, and at times, pretty surreal too. After visiting the art museums in the UK and in Singapore, I’ve come to view myself as a oil paintings kind of person and I know that I loath abstract art. The Andy Warhol art exhibits are kind of like in the middle. They are not abstract, yet you do need a fair amount of interpretation on your part in order to appreciate them. The Campbell Soup art piece is one such example. Andy Warhol’s brand of art is known as Pop Art, as he drew inspiration from popular culture such as branded products and comic books. Andy Warhol’s artworks are displayed in a chronological fashion, via 4 different stages of his life, starting from his early artistic years in the 1940’s to his final works in the 190s. For ticketing information, click here. If you haven’t already seen the Harry Potter Exhibition, you can buy a joint Harry Potter Andy Warhol ticket and save loads. Meanwhile, here are some pictures to enjoy. All photos are courtesy of © 2012 The Andy Warhol Foundation for the Visual Arts, Inc. / Artists Rights Society (ARS), New York and Marina Bay Sands. Do note that photography is not allowed within the exhibitions. 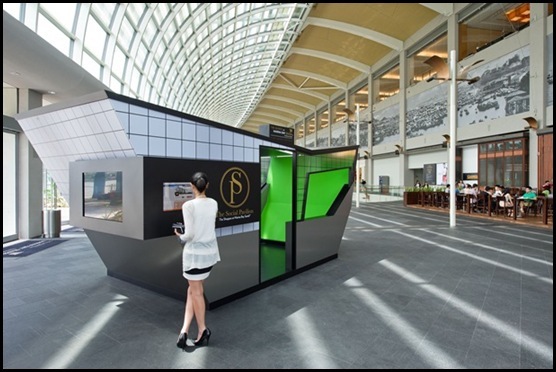 If you’re in the Marina Bay Sands area, especially if you are going for the Harry Potter Exhibition, you really have to check out the cool new MBS Social Pavilion. It is a permanent social media booth for you to have your pictures taken, printed and posted on Facebook! All for free!